Health Share said Janet Meyer will leave Sept. 4. She'll be replaced by Maggie Bennington-Davis, the organization's chief medical officer, while a national search is underway. 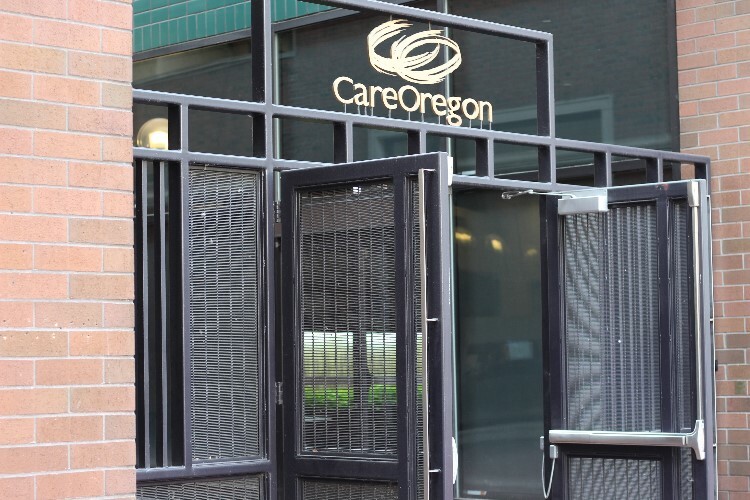 The CEO of Health Share, Oregon's largest Medicaid provider, has resigned. Janet Meyer, who's led Health Share since 2012, will leave Sept. 4, according to a statement. She'll be replaced in the interim by the organization's chief medical officer, Maggie Bennington-Davis, while a national search is underway. The change comes as the Oregon Health Authority hammers out details for the reform of Oregon's Medicaid system. It's based on 16 coordinated care organizations that act as insurers for Medicaid clients. They're region-based, with Health Share covering 300,000 patients in the tri-county metro area. Health Share is different from other coordinated care organizations because it acts as a pass-through organization, contracting with CareOregon, a coordinated care organization; Kaiser Permanente; Providence Health & Services; and Tuality Health Alliance for medical care. The three metro area counties provide mental health services. Health Share also contracts with five dental plans. In the next round of Oregon's version of Medicaid, coordinated care organizations will have at least some responsibility for moving payments towards value-based care based health outcomes rather than a fee-for-service model that compensates providers for procedures and services. The other big piece of the reform involves so-called social determinants of health, such as food, employment and housing status, all of which affect health. Officials at the Medicaid organizations are concerned about a potential mandate requiring them to ensure housing and other quality of life issues. They will have to reapply next year, with the new system going into effect in 2020. The Oregon Health Policy Board is working on the transformation details in consultation with the key players. Meyer has weighed in on the meetings. Marni Kuyl, a Health Share board member and health and human services director for Washington County, said with the reform underway, timing was right for a change. "Really with all the big changes on the horizon, Janet and the board together came together and decided that it was time for new leadership," Kuyl said. "It was a mutual decision." She said Health Share needs someone at the top with "fresh ideas and fresh eyes" to address the next phase: "How do we move value-based payment forward? she asked rhetorically. "How do we incorporate the social determinants of health into our model?" Those topics and what the members want in the next CEO will be on the table at Health Share's retreat in September. The board assumes that all the members will remain but if they don't agree, there could be changes. As for Meyer, who earns nearly $317,000, Kuyl praised her performance. She said Meyer hired excellent staff and put Health Share in a good position for the future. Kuhl also said the organization is in good hands with Bennington-Davis, who has 20 years of experience in health care.